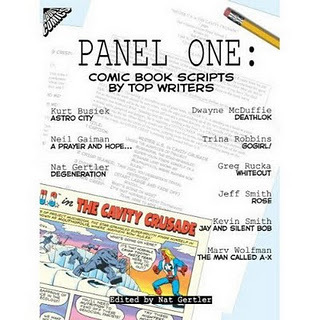 Panel One: Comic Book Scripts By Top Writers. Tell someone you’re writing a graphic novel, and you’ll probably hear a response like this, “I didn’t know you could draw!” And then you’ll have to explain, “Actually, I’m writing a graphic novel. A graphic novel script.” Show them Panel One, which includes graphic novel scripts from numerous writers such as Neil Gaimen. Graphic novel scripts are harder to come by than screenplays, so Panel One is a valuable addition to the new comic writer’s bookshelf. Understanding Comics. 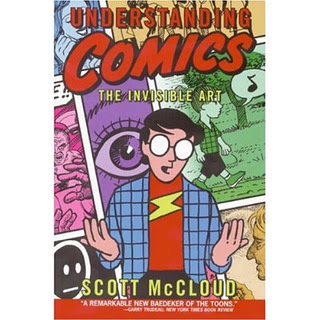 In Understanding Comics: The Invisible Art, Scott McCloud’s passion and reverence of the age-old art form of comic writing is apparent. In an easy to read comic book style, he breaks down what exactly a comic is, what’s been done with comics, and how comics may change in the future. 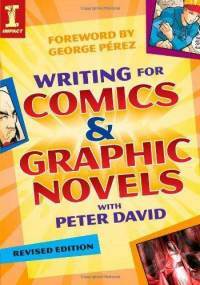 This book is a great reference for those new to writing and drawing comics. Writing for Comics and Graphic Novels. Writing for Comics is the first “how to write comics” book that I read as I began my adventure into the world of comic book writing. I recommend it for both those who are just starting out or for seasoned writers who are looking for an enjoyable book to read (Although, honestly, a very experienced writer will certainly get less out of it than a newbie).